This business service is brought to you by the private sector members of the Multi-State Fleet Response Working Group in partnership with the All Hazard Consortium, the public sector members of the EC3 (East Coast Corridor Coalition) Working Group, and the information partners from Hughes Network Systems and Integrity Consulting. This service was developed and used during SuperStorm SANDY and is now in operational service to support disaster response and restoration efforts in both the public and private sectors. Established by the private sector under the All Hazards Consortium, the Multi-State Fleet Response Working group is a private sector-led working group supporting efforts to expedite the movement of private sector repair fleets, resources and supply chains across multiple borders following disasters. Its members are owners and operators of the nation’s critical infrastructure sectors including electric, fuel, finance, retail, telecommunications, transportation, food, water and medical. The Working Group is advised by state/local government representatives from multiple disciplines, including emergency management, homeland security, transportation, communications, GIS, health, energy, utility commissions, law enforcement and economic development. For additional information, send emails to info@fleetresponse.org or visit www.fleetresponse.org. The All Hazards Consortium is a 501(c)3 non-profit focused on multi-state homeland security, emergency management and business continuity, and guided by the states of North Carolina, District of Columbia, Maryland, Virginia, West Virginia, Delaware, Pennsylvania, New Jersey and New York, along with the urban areas of New York, New York; Philadelphia, Pennsylvania and the Washington, D.C. National Capital Region. For additional information, send emails to info@ahcusa.org or visit www.ahcusa.org. 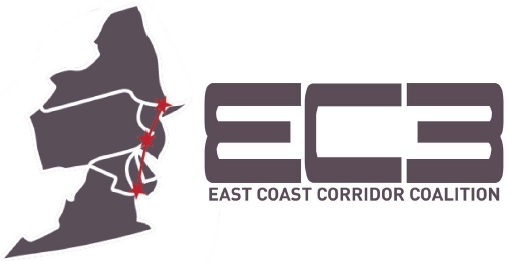 The EC3 (East Coast Corridor Coalition) Working Group is a public sector work group that focuses on disaster management and business continuity issues facing the region's communities and businesses on the East Coast in the areas of: Integrated planning w/private sector; Education and training; Annual exercises (e.g. CATEX); Developing joint operational solutions; Public/private information sharing. The EC3 is advised by the private sector members of the Multi-State Fleet Response Working Group. Headquartered outside Washington, D.C., in Germantown, Maryland, USA. Hughes operates sales and support offices worldwide, and is a wholly owned subsidiary of EchoStar Corporation (NASDAQ: SATS), a premier global provider of satellite operations and digital TV solutions. Hughes is the world’s leading provider of satellite broadband, delivering innovative network technologies, managed services, and solutions for enterprises and governments globally. Visit www.hughes.com.